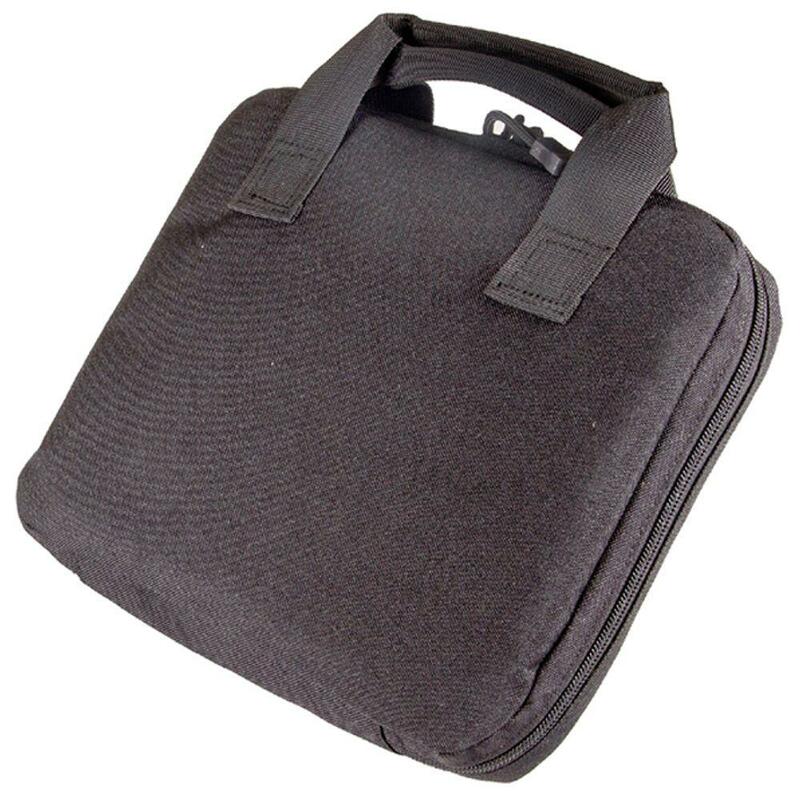 Buy Cheap Black Tactical Single Pistol Case |ReplicaAirguns.ca | Easter Weekend Sale! 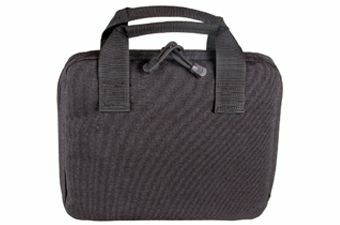 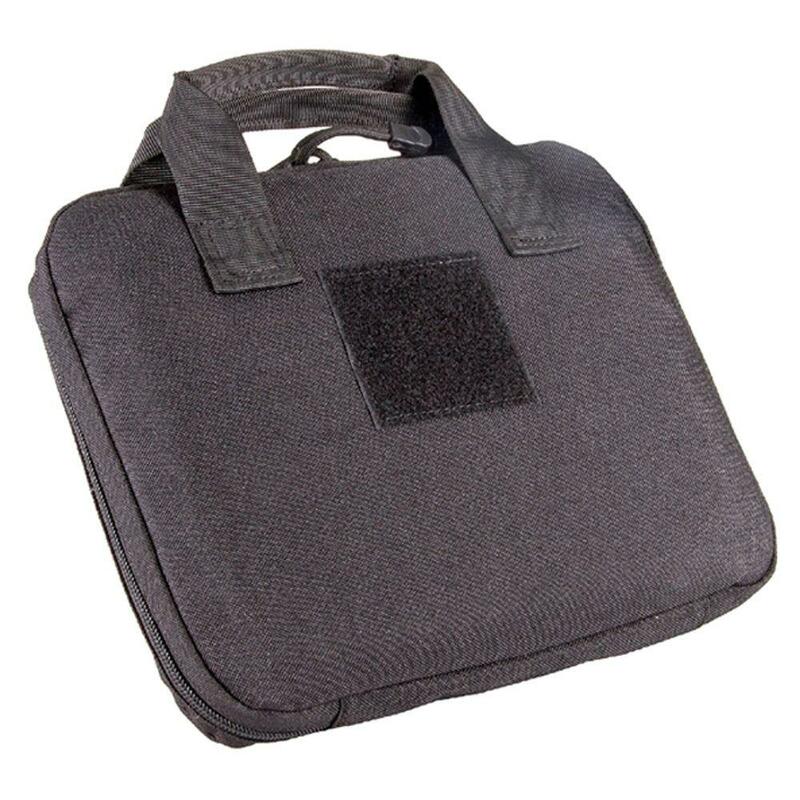 Perfect to transport your handgun and its accessories safely, neatly, and comfortably. 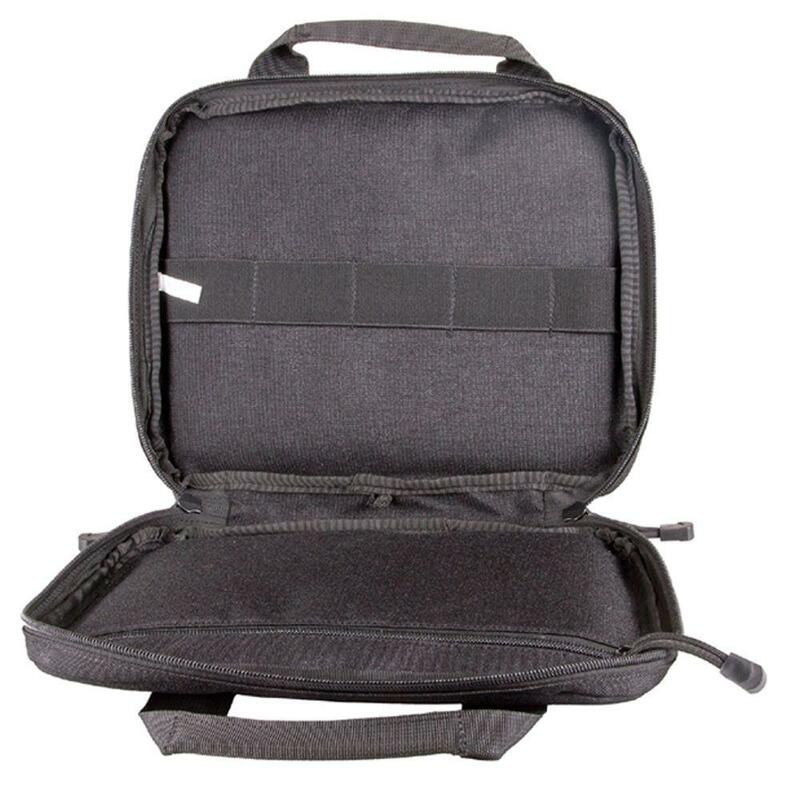 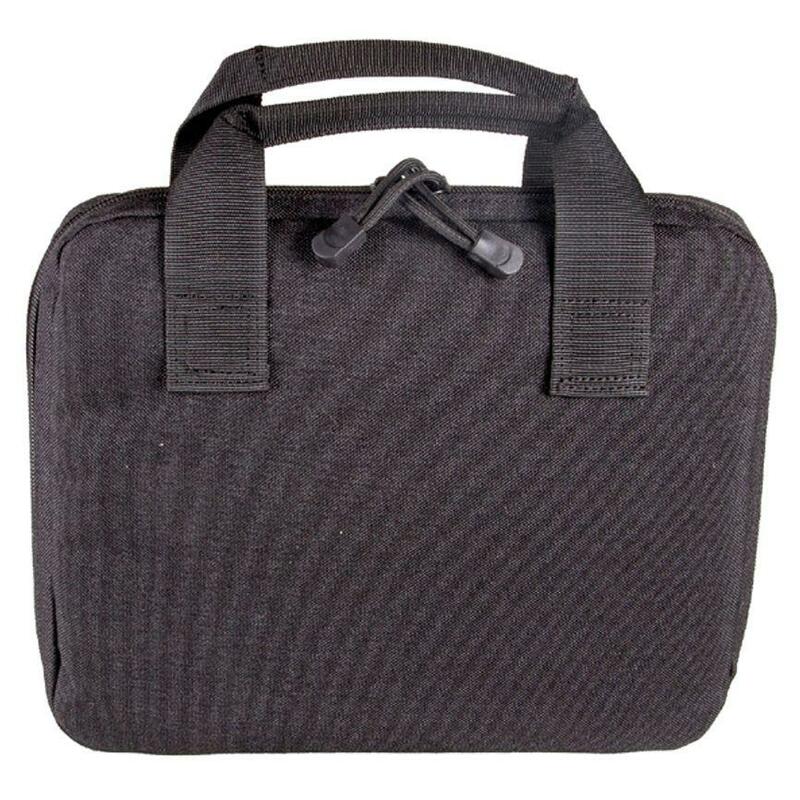 This lightweight and durable nylon bag has a convenient zip-around closure so that it opens flat for easy packing and unpacking, and it contains a padded, zippered compartment perfectly-sized to hold your full-sized pistol. 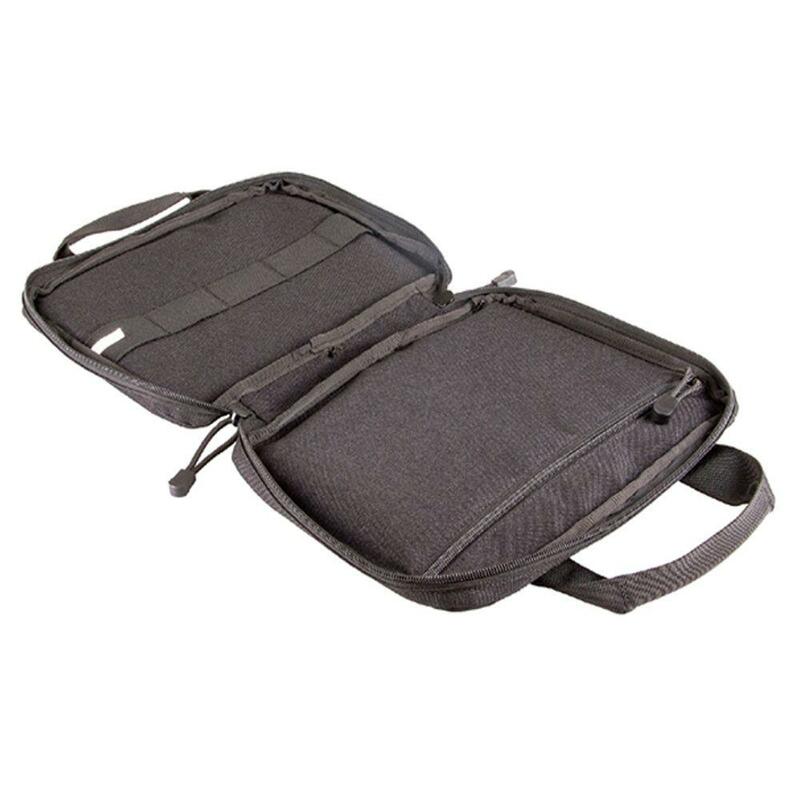 Its five elastic loops keep your gun's magazines, cleaning gear, attachments, and other accessories neatly organized, and Case comes with wrapped double carry handles.